Imagine, for a moment, that there is someone you’ve met in your life with whom, before you were born, you have decided to carry out a specific task. If you lay this question right now, who would you think of? It could be more than one person. According to several studies, the souls before incarnating, decides how to evolve, choosing the kind of experience that can be used for this and to accomplish a goal always facing the global evolution. To get to do this, it chooses the souls with whom it will travel during the journey of life. The choice starts with the parents, and then it gets to meet the people that will stay close to achieve what it proposed to do. If you’re still not sure you have found your “fellow travelers”, this article will help you understand if you’re pursuing the path of your soul, because the encounter with these soulmates, always happens when you’re “in line” with your spiritual goals. When you spend time with your “soul group”, your heart chakra begins to take action and you don’t even need to talk a lot, because the communication takes place at a “thin layer”, through the exchange of energy of the heart. A member of this group will resonate with your own frequency and you’ll feel safe and you’ll be fine. 3.) It is easy to forgive. Usually it is not easy to forgive someone who makes us a disservice. This does not happen with the soulmates with whom you have chosen to take your soul journey. Since your hearts are connected, you immediately understand the reasons behind their actions. Who knows his own soul group knows that he hasn’t lived with it only this life, but more than one. It is as if we know them for some time. For this reason it does not pose a problem to be spontaneous. Each member of the soul group reflects one or more of the other’s aspects. Theirs is an encounter that was decided very carefully to brighten even more aspects, and to light and bring out those still in shadow. 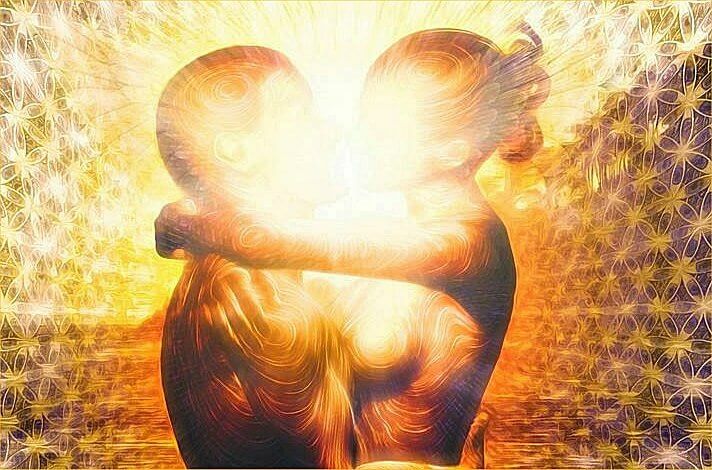 These soulmates have, usually, a past, an education and very similar experiences and their encounter is when they are at the same level of awareness, derived precisely from the lessons that life has offered them. Most spiritual awakening takes place after a great deal of suffering. The union with these souls, since it boosts your energy, puts you in touch with your deepest wounds, initiating a faster healing process. Healing, in fact is one of the main signs to understand if people who are close to you are those with whom you have decided to evolve and fulfill your mission. After reading these lines, do you think you’ve found your mission and souls with which to carry it out?